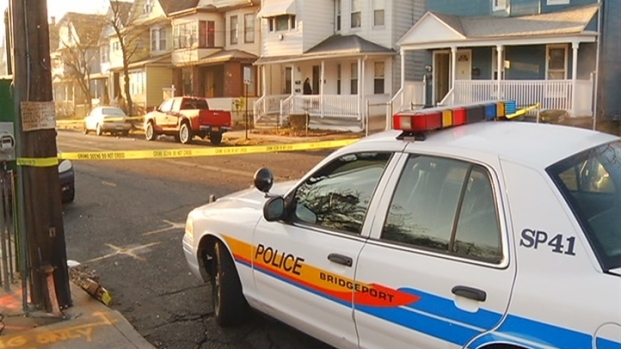 Greg Thomas is the first Bridgeport homicide victim on 2012. A 26-year-old Bridgeport man was shot to death in front of his home early Sunday morning in the city’s first homicide of the year. Greg Thomas was shot on the porch of his mother's Howard Avenue home around 4 a.m., according to police. Witnesses told NBC Connecticut they heard several gunshots then heard the victim screaming. Thomas' girlfriend said she saw a black Dodge Charger parked in a gas station parking lot before the shooting. Twenty-six year old Bridgeport resident Greg Thomas was shot dead on his mother's porch.